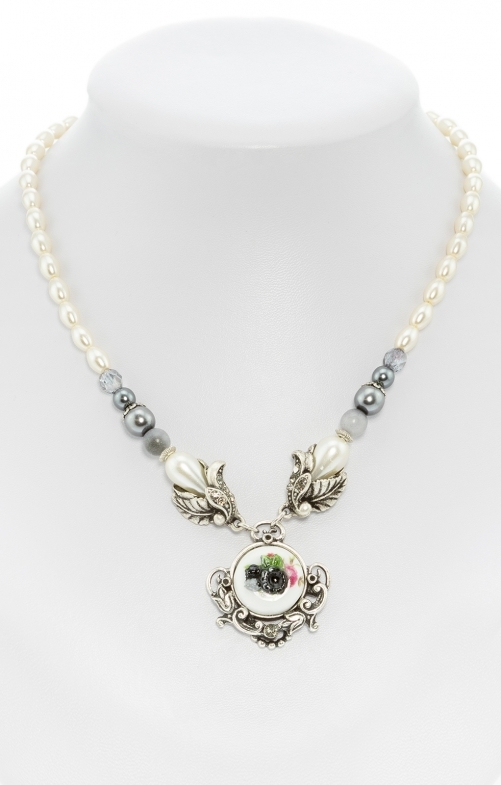 Exquisite pearl necklace by Schuhmacher with flower pendant in grey. In our online shop you will find the elegant costume necklace in grey and white. The grey-blue beads near the pendant add a stylish accent. The pendant features floral embellishments, crystal trim and natural-looking flowers. The costume necklace is adjustable in length and nickel free. Ideal for the big party appearance.